Beer is made from natural ingredients, including malted cereals (most often barley), hops, yeast and water. Thanks to these, beer contains minerals, vitamins, fibre and polyphenols that can positively contribute to a person’s diet. Also, the alcohol in beer can have positive health effects when consumed in moderation. What is in a beer? Beer is made of natural ingredients: water, cereals, hops and yeast. 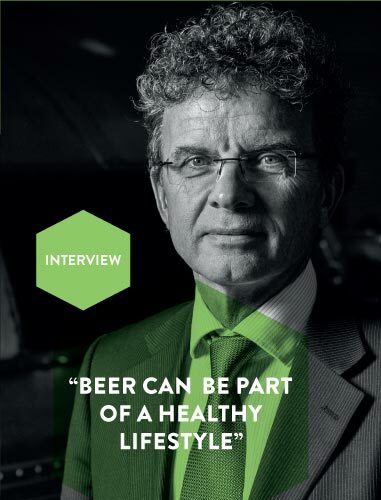 Thanks to these natural ingredients, beer can make a positive contribution to the diet, especially by providing B vitamins, minerals, polyphenols and fibre. By eating a balanced diet, most people obtain enough nutrients from food without consuming beer. If you drink beer, keep in mind that you should drink in moderation as part of a balanced diet. In addition to the positive effects of moderate alcohol consumption (see Chapters 5, 6, 8 and 9), beer can also make a small contribution to diets by providing certain B vitamins, minerals, polyphenols and fibre. The actual composition of different beers range considerably depending on the raw materials used and the way it is made. Table 2 shows the average composition of regular pilsner/lager beers relative to recommended daily dietary intakes, and the nutritional highlights are discussed in this chapter. Gluten, which people having celiac disease have to avoid, will also be discussed. By eating a balanced diet, most people will get enough nutrients, though beer can also play a role in a balanced diet as long as it is consumed in moderation. Composition of beer: Derived from the Food composition data of 16 European countries via www.EuroFIR.org (except for data on fibre and silicon). 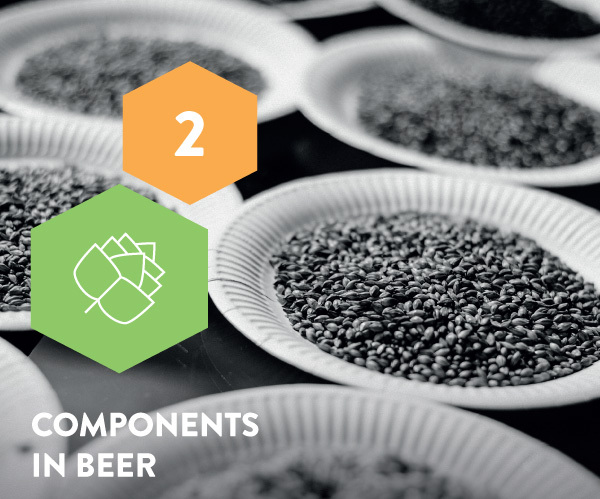 Cereals, water, hops, yeast and processing conditions can all contribute to the mineral content of beer23. About 75% of the minerals in beer come from the malt, with the remaining 25% originating from the water.24 Some important minerals for health effects include silicon, potassium and sodium. Many biological roles of silicon remain unknown, and consequently, the recommended daily silicon intake has not yet been set.25 Beer is a substantial source of silicon in the diet, in the range of 6.4–56.5 mg/l26 with an average of ~19 mg/l. After drinking beer, serum and urinary silicon levels increase significantly, confirming that beer is a readily bioavailable source of silicon,27 and beers made from barley tend to contain more silicon than those made from wheat. 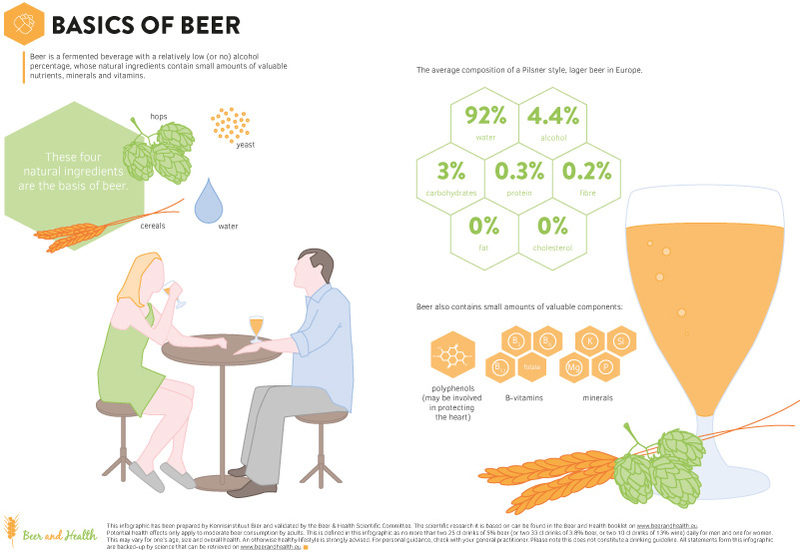 Hops contain substantially more silicon than cereals, but quantitatively, hops make a much smaller contribution to beer than cereals. In comparison, wines and spirits have lower levels of silicon.13 A review shows that the accumulated evidence over the past 30 years indicates that silicon plays an important role in bone formation and in bone and connective tissue health,13 and it is suggested that the silicon component of beer may contribute to some of these positive effects.28 However, more research is needed to investigate whether the dietary silicon provided by moderate beer consumption actually reduces the risks of developing osteoporosis (see Chapter 9). As can be seen in Chapter 5, the consumption of 10–20 g alcohol per day can have protective effects against cardiovascular disease. Different studies speculate that other factors in beer (and wine) could also be protective; mainly polyphenols,32,33 and two studies suggest polyphenols in non-alcoholic beer may also play a part (see Chapter 4). More randomized clinical trials focused on identifying the actual mechanisms behind the action of polyphenols are needed to understand if and how much they contribute to the protective effect. Although international food composition tables report no dietary fibre in beer, it is evident that lager and dark beers do contain amounts of soluble dietary fibre (1.87–2.02 g/l). Soluble fibre in beer is derived from the cell walls of barley, and the indigestible carbohydrates (ß-glucans and arabinoxylans) are the largest constituents of dietary fibre.12 The European Food Safety Authority (EFSA) concluded that barley ß-glucans have been shown to lower blood cholesterol, and at least 3 g of barley ß-glucans should be consumed per day in order to obtain the claimed effect.34 Barley ß-glucans are often found in beer, however, the levels vary widely depending on brewing processes, and more research is necessary. If alcohol is consumed on an empty stomach, it is absorbed faster than if the stomach is full. Since elimination of alcohol does not depend on factors that can be directly influenced, peak blood alcohol concentration (BAC) when drinking alcoholic beverages on an empty stomach will be higher than when drinking during or soon after having a meal.39 But the type of alcoholic beverage is also important. When drinking on an empty stomach, more concentrated beverages like spirits will produce a higher peak BAC than when the same amount of alcohol is consumed as beer. When alcohol is consumed with or soon after a meal, the highest peak BAC is seen with more diluted drinks like beer, but this peak is still lower than when drinking beer on an empty stomach.40 So to avoid high peak blood alcohol concentrations, it is better to drink alcoholic beverages with or soon after a meal, or to choose more diluted beverages like beer. How does moderate beer consumption fit in a healthy lifestyle? If beer is consumed in moderation, how does it affect your health? What would you like to study in the area of moderate beer consumption as part of a healthy lifestyle, if you had unlimited funds?